Assembly is a clever, occasionally unforgiving little puzzle for one (or two). While the randomness can sometimes result in an uneven difficulty curve, the modular nature of the game paired with the tight, accessible gameplay kept us coming back for more. Andrew: Wow, that’s a lot of things that went wrong all at once! Jess: Yeah, it’s been what you call a ‘rough morning’ on that space platform. But interestingly, though Assembly might have a white-knuckle premise, the gameplay itself is totally abstract and works more on slow-burn tension rather than spikes of intensity. Let’s check it out! Gameosity was provided a prototype of Assembly for this preview. We were not compensated, and we also backed the dang thing on Kickstarter. 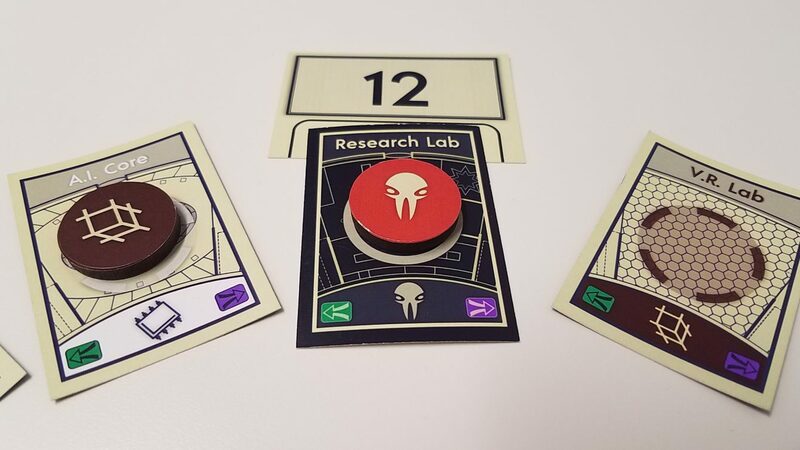 All images are either of the prototype or from the Assembly Kickstarter page. 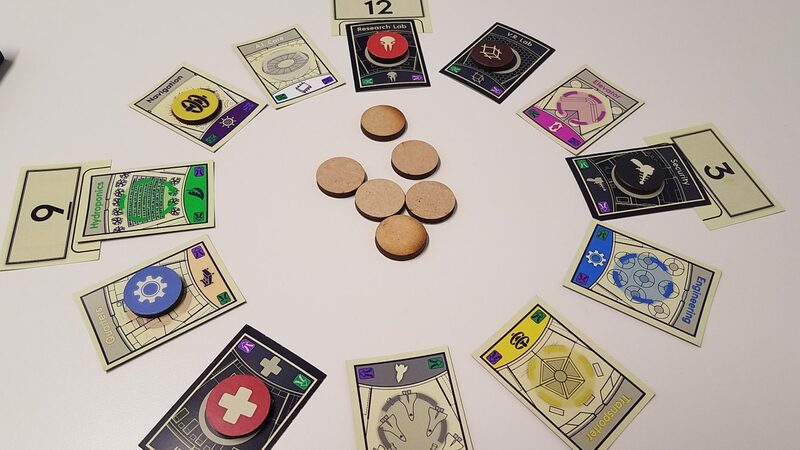 Now, full disclosure – we’ll be talking primarily about Assembly as a 2-player experience; this little box can also be played solitaire, but we had the most fun with it when we were both trapped in orbit. This is in no way the final box, but you’ve gotta love how tiny and portable it all is! 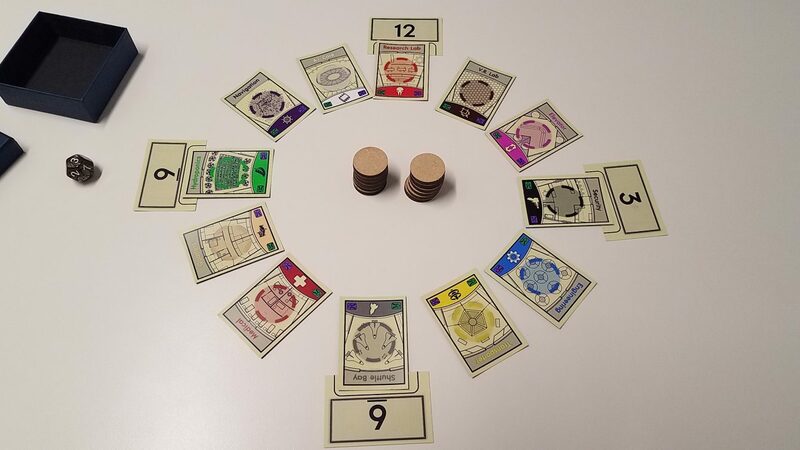 The ‘board’ of Assembly is a circle of Blueprint cards, each of which represent a part of the ship you’re building which needs to be set in place before you depart. 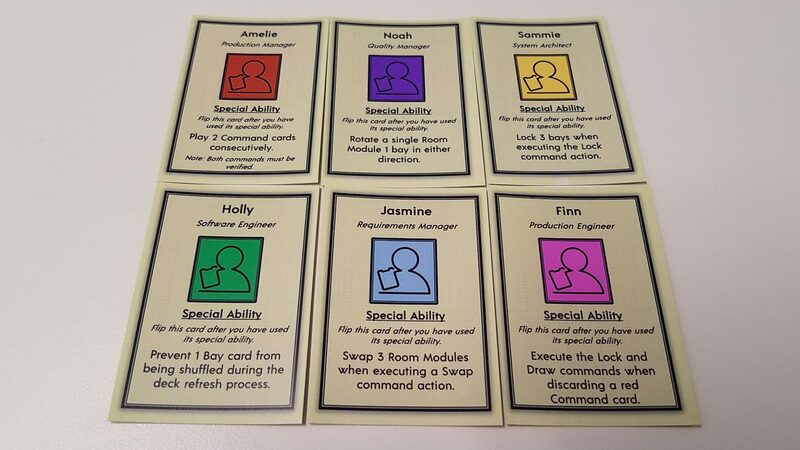 On these cards are the module tokens, and the premise of the game is simple – move the module tokens around until they rest on the matching blueprint card, and then lock them in place. Jess: …But easier said than done. 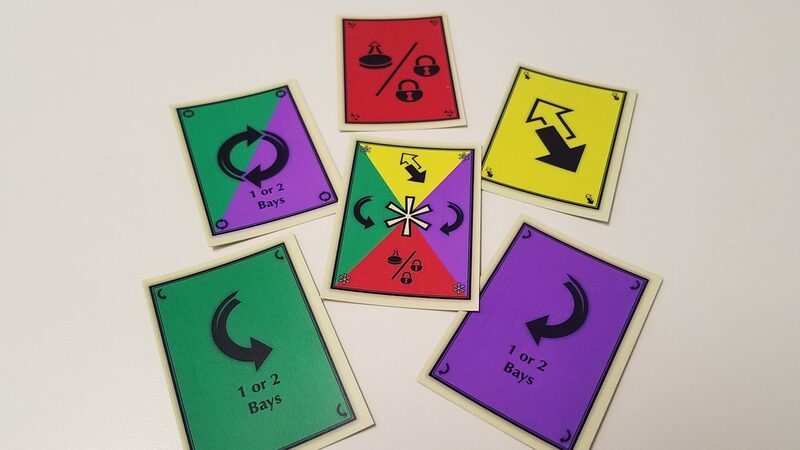 Actually, not easier said at all – the main challenge of Assembly is coordinating card play between players – when the active player takes an action, they’ll want to do so when their partner can ‘verify’ it, which is to say when they are also holding a card that covers that action. Taking an unverifiable action will cost your partner a card, and that both limits options on their turn and burns through cards faster, and every time you cycle the draw deck, you get closer and closer to running out of air. When a module lands on the right blueprint, you’ll be able to lock it down. Jess: …Or it might mean that verbal communication is completely forbidden! You’ll be playing Assembly in icy silence, with only agreed-upon hand signals to pass information. That’s bananas! All arbitrary thematics aside, Assembly is an abstract puzzle. You’ll try to be as efficient as possible with your card use, trying to move modules into place and lock them down in as few wasted turns as possible, and you’ll writhe in frustration when you or your partner can do nothing useful (or worse) and cards (and air) burn away without any progress being made. Jess: And it was going so well. 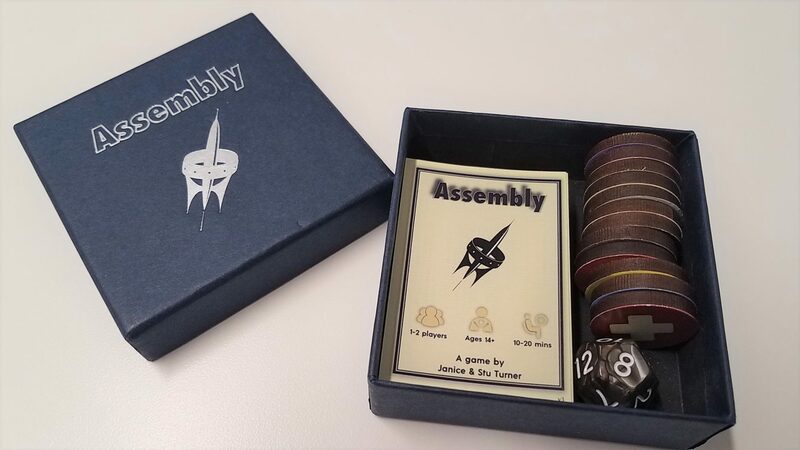 Assembly is fast, tight, and tense, providing an experience bigger than its modest components would suggest, but not so big as to overstay its welcome. The solo mode removes the communication and verification aspects of gameplay, and has you using a reduced card count to compensate. While it was perfectly functional, we found that it removed what we liked most about Assembly, though it did make Assembly an even more compelling game to add to your portable gameplay library. Andrew: But that’s not all! 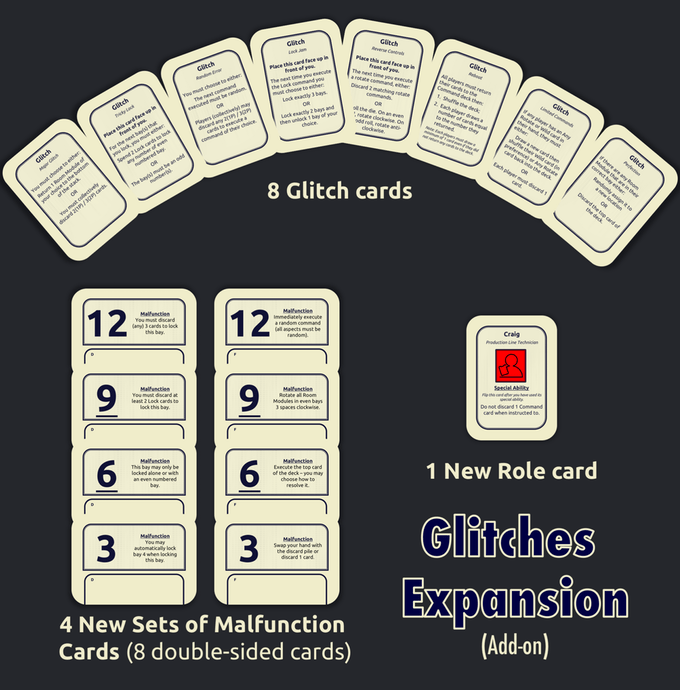 Assembly even has variable player powers and the Glitches expansion, which change the game up in simple but significant ways, adding variety to the puzzle. 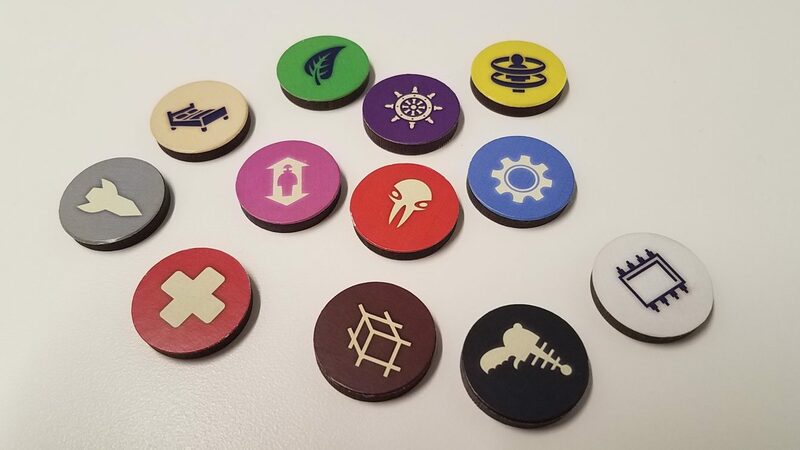 The Assembly Kickstarter did great and the game funded with stretch goals galore. But even though it’s too late to back, you can totally still pre-order Assembly via this link, and get in on all this puzzly small-game tension!